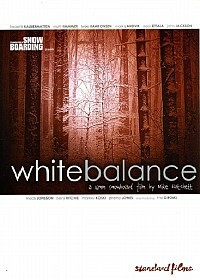 In a sea of over hyped, over saturated snowboard flicks, White Balance stands true and delivers the whole spectrum of snowboarding. From the inner city handrails to the highest peaks in Alaska, this movie is what snowboarding is truly about. Standard Films travels the globe with some of the best snowboarders in the world and upcoming talent.